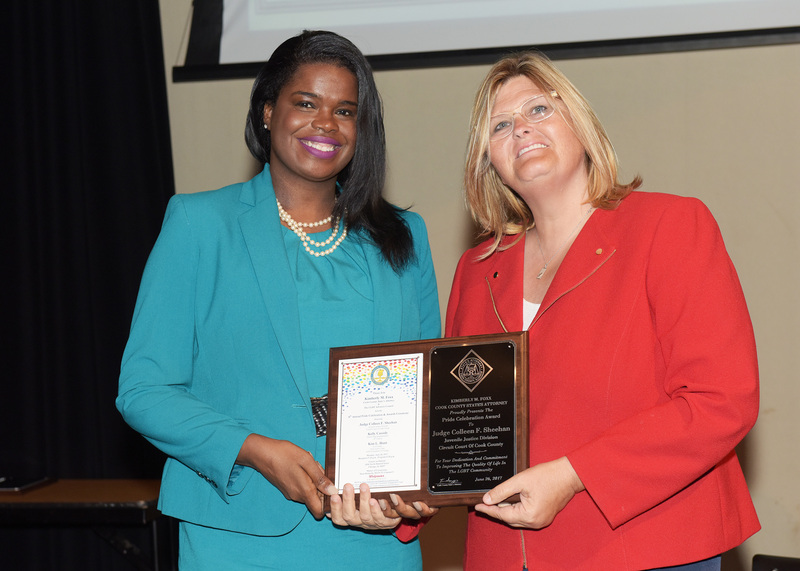 Cook County State’s Attorney Kimberly Foxx along with members of the Office’s LGBTQ Advisory Council presented Pride Awards to Cook County Judge Colleen Sheehan, Illinois State Representative Kelly Cassidy (14th District) and community advocate Kim L. Hunt for their outstanding leadership and contributions to the LGBTQ community during a ceremony held in commemoration of Gay Pride Month. The Honorable Judge Colleen Sheehan, elected to the bench in 2000, currently presides in Cook County Juvenile Court. Judge Sheehan is actively involved with projects outside of her judicial duties that work to safeguard the rights of the LGBTQ community. She is currently working to implement a new Restorative Justice Community Court in Cook County. State Rep. Kelly Cassidy has provided 20 years of devoted service to empowering and educating residents in Chicago and statewide. Through the years, Cassidy has worked both as an advocate and as a professional on issues such as choice, equality, social justice, access to quality health care and child care. 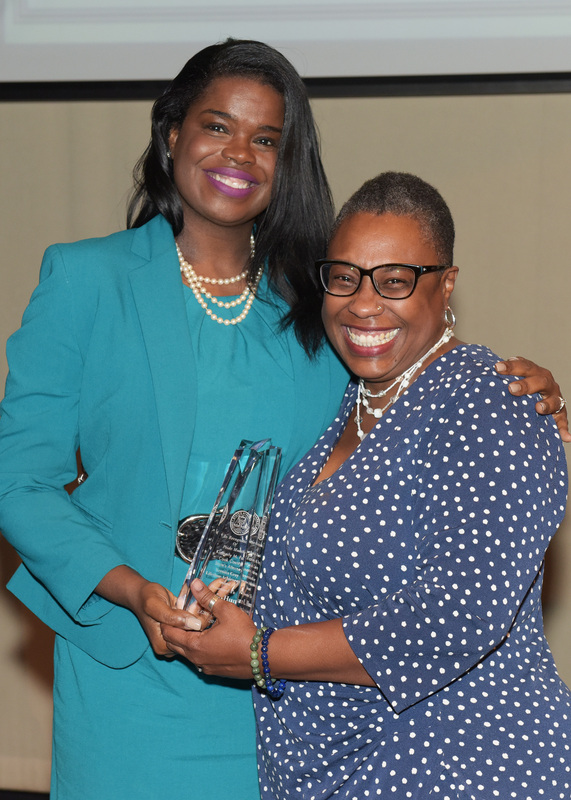 Kim Hunt was the recipient of the Vernita Gray Lifetime Achievement Award, named in honor of the late Vernita Gray, a 21 year veteran of the State’s Attorney’s Office who was a trailblazer and devoted advocate in the LGBTQ community. Hunt’s career spans the public, private and nonprofit sectors, focused on advocacy and nonprofit management. She is the Director of Pride Action Tank (PAT), a social justice lab devoted to improving outcomes for LGBTQ communities through a collaborative process of inquiry, advocacy and action. 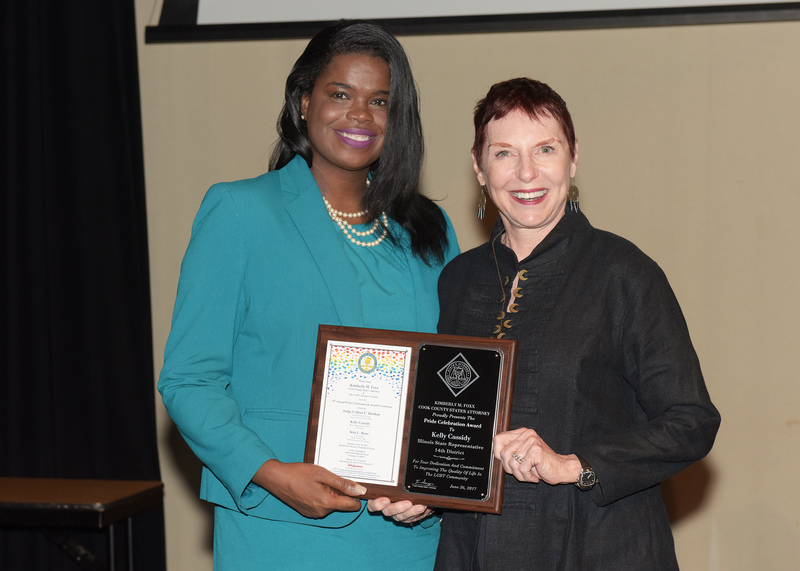 The State’s Attorney’s 8th Annual Pride Celebration and Awards Ceremony were held Monday, June 26th, at the Center on Halsted in Chicago.